If water and melon combined together make watermelon, then why don’t guava and grapes make ‘guavagrapes’? 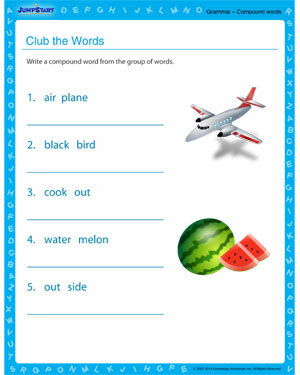 Explaining combined words to kids can be difficult at times if you haven’t got the right grammar worksheet with you! Here is some great help with compound words for your little learner. Download and have fun!